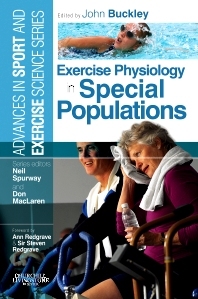 Exercise Physiology in Special Populations covers the prevalent health conditions that are either linked to an inactive lifestyle or whose effects can be ameliorated by increasing physical activity and physical fitness. The book explores physiological aspects of obesity and diabetes before moving on to cardiac disease, lung disease, arthritis and back pain, ageing and older people, bone health, the female participant, neurological and neuromuscular disorders, and spinal chord injury. The author team includes many of the UK’s leading researchers and exercise science and rehabilitation practitioners that specialise in each of the topic areas.